Published on June 26, 2013 in Beer Culture. 0 Comments Tags: microbe, oregon, yeast. On an already incredibly celebratory day, this bit of brewing related news comes from my turf. Oregon officially recognizes brewer’s yeast, saccharomyces cerevisiae, as the state microbe. That’s right, we’re the first state to officially designate a state microbe. Really though, besides Aspergillus oryzae, what other microbe does as much to contribute to our culture and economy? Way to go, humble heroes! Published on July 13, 2009 in Gear. 2 Comments Tags: break, Gear, glass, yeast. 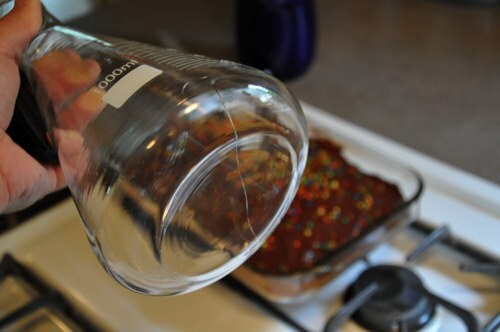 While I was drying off my 1 liter Erlenmeyer flask yesterday, I heard a strange pop. I had just used it to culture a yeast starter for a beer, and after cleaning it up, there was a sickening clink that caused me to pause. A quick check revealed a long crack across the bottom of the flask. Luckily, this didn’t happen while I was boiling a mini-wort for the starter, or when I set the nearly boiling contents in to an ice bath. Best yet, it didn’t happen when the vessel was full of a bajillion yeast cells waiting to eat my fermentable sugars and poop out alcohol. Now it’s time to shop for a new one. 1L has worked fine, but wouldn’t 2L be finer? Published on December 18, 2008 in Beer Culture and Homebrew. 8 Comments Tags: fermentation friday, yeast. Yeast and I have had a tenuous relationship. It can be a bit of a prima donna, knowing how essential it is to process of brewing, and probably knowing that I spend too much time focusing on the hops. It all started with my first solo batch of beer, with the canned extract that came with a packet of dried yeast. The beer was abysmal due to a wicked bacterial infection, and I started using pitchable yeast exclusively for years. I switched between White Labs and Wyeast, though I had a strong preference for WLP0001. For me, pitchable yeast was the single most expensive part of my brew day, so a few years ago I started looking for ways to reduce that cost (I know… who’s ever heard of a frugal brewer?). I tried both yeast washing and reusing yeast cakes, both of which were successful but I haven’t stuck with. I have stuck with using yeast starters though, and that continues to be one of the defining parts of my process. 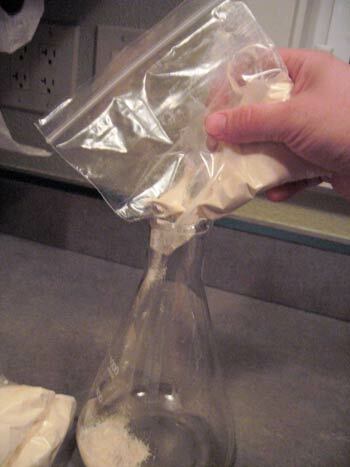 I’ve even simplified the process of making a yeast starter to ensure that I pitch a healthy population of yeast. The last 2 years I’ve switch completely to dry yeasts from Safale and I’ve been very happy with the results. 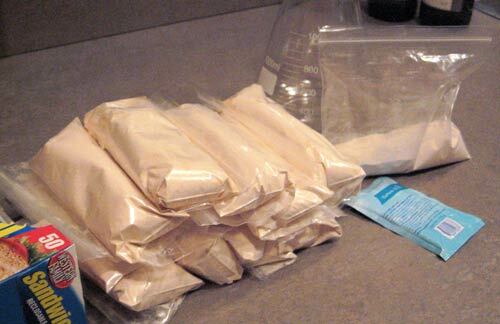 Granted, I’m making a starter with the packets, but the process is cheap, simple, and has proven easier than washing. I haven’t been able to convince my brewing pals to switch yet, each for their own reasons, but I’ve been very happy with all three varieties I’ve tried, and expect to continue using them unless I try some style that requires a different strain.